At school, everyone learns about the events that shaped Germany, and particularly Berlin, during the last century: the Weimar Republic, the subsequent rise of National Socialism, and of course, Adolf Hitler. The rest, as they say, is history. 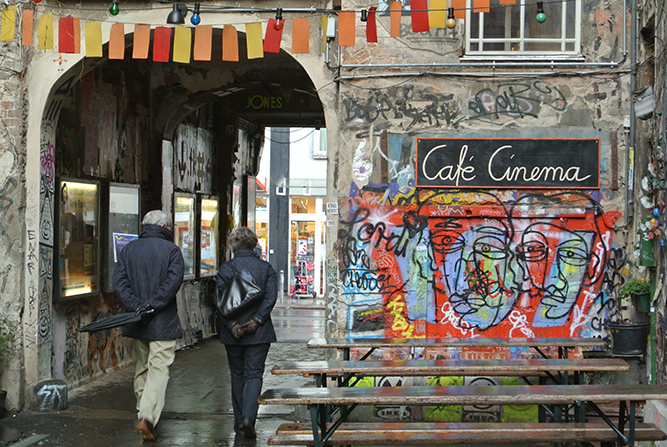 Over time, the city of Berlin has grown and changed, but has always retained the essence of its most recent past. 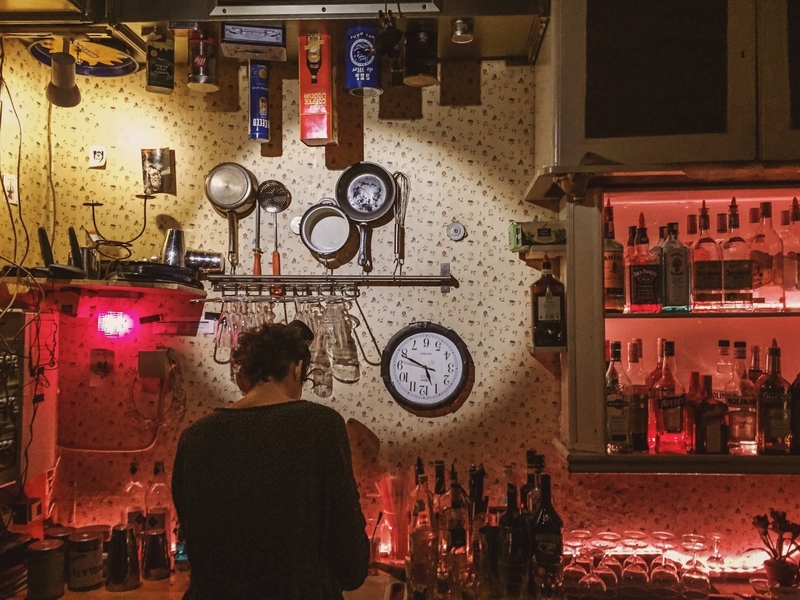 In this post, we reveal four special, lesser-known spots in the German capital that have a great story to tell. 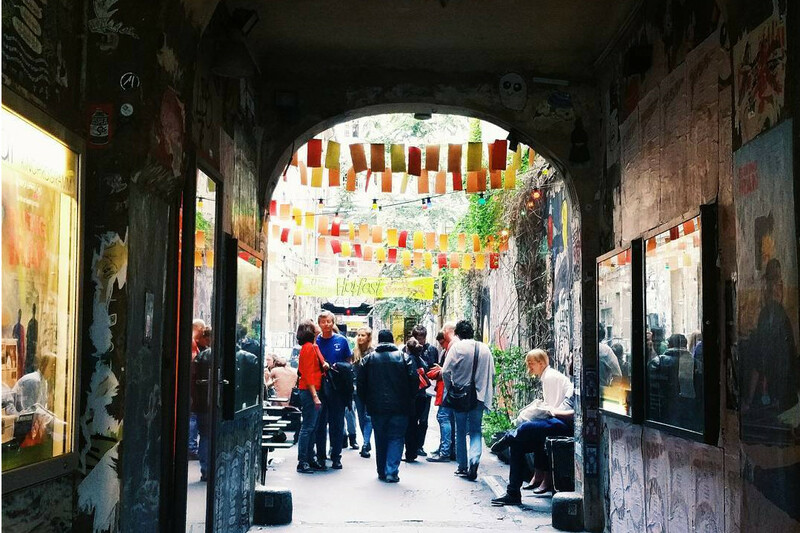 Dead Chicken Alley is one of the city’s most colourful and alternative back streets, and is covered in lights, graffiti and bunting. 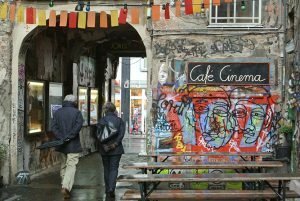 However, behind the art, this bohemian street gallery is a reflection of the desire of a group of young artists called “The Dead Chickens” to express themselves freely shortly after the fall of the Berlin Wall. See if you can spot Banksy’s work! 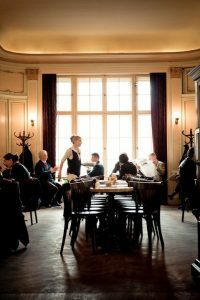 As soon as you walk through the door at Madame Claude, you realise that this place literally turns the world on its head. 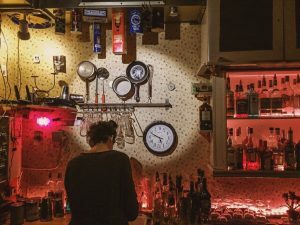 The fact that the chairs, tables and lamps hang down from the ceiling is not the only striking feature of the bar: it used to be a brothel that was very popular with American soldiers after the Second World War. Café Einstein is a Viennese-style coffee shop that serves the best Apfelstrudel in the city. This striking building, with its huge windows and elegant columns, has housed a sewing factory that survived both World Wars, a gambling den and even a Nazi agency. 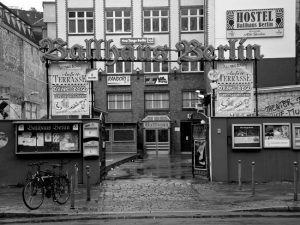 Ballhaus Berlin is a dance hall that dates back to between the wars, and the glitz and glamour of the era are unmistakable in the music, décor and its Tischtelefonen, which were used at the time to ask whoever caught your eye for a spin around the dance floor. Are you ready for some retro-flirting? 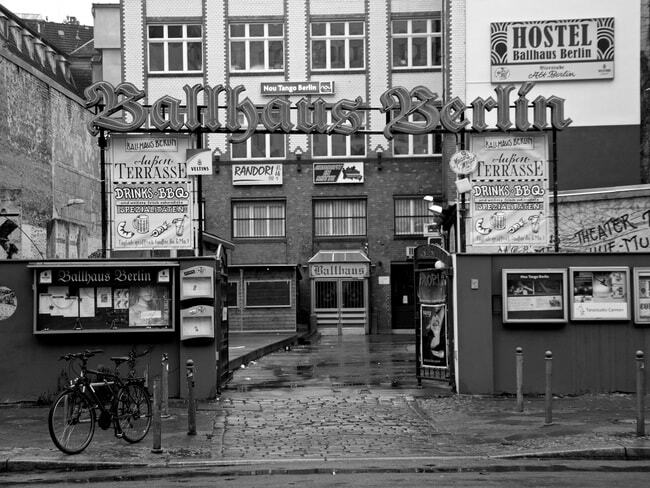 Berlin is a city that is teeming with history, and the Hotel Gat Point Charlie has had its fair share of past adventures, too: during the Cold War, the building housed the Ministry for National Security, which employed more than 60,000 secret agents.